Enter your e-mail address to get the latest news about the White Light Festival. “Out of the depths I cry to you!” For nearly 3,000 years, humans have reached out to the divine through the Psalms, the Hebrew Bible’s book of hymns revealing the gratitude, fear, and longing of the human heart. In this unprecedented choral project, four world-renowned choirs traverse 1,000 years of music over the course of 12 thematic concerts featuring all 150 psalms by 150 different composers from Bach and Handel to today’s leading artists, including new commissions by Nico Muhly and David Lang, among others. All concerts are approximately one hour long and will be preceded by a brief introduction. The White Light Festival presentation of The Psalms Experience is supported by The Andrew W. Mellon Foundation. 150 Psalms, 150 Photographs Stunning images from The New York Times's photo archives, each paired with a psalm. Ahead of the special concert series The Psalms Experience, WNYC’s John Schaefer and guests explore the history of the Psalms, their many musical traditions, the challenges of translation, and their contemporary resonance in a more secular world. 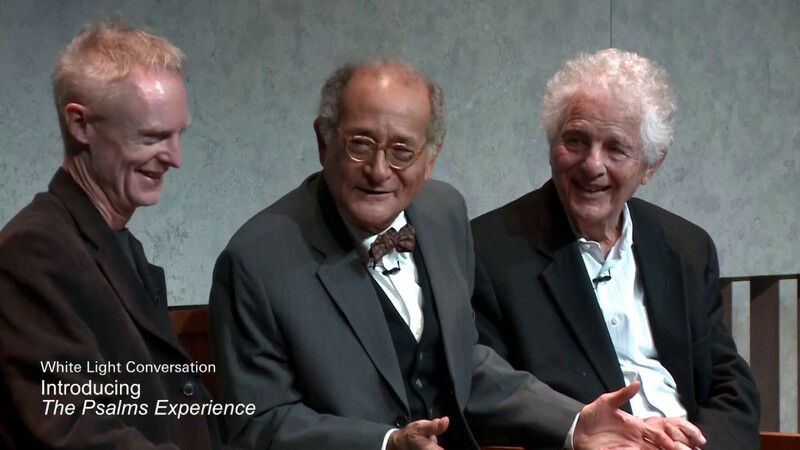 Panelists include scholar and Psalms translator Robert Alter, musicologist Neil W. Levin, and David Van Biema, Time magazine’s former chief religion writer. Watch the Introduction to The Psalms Experience below. The Psalms, which give voice to an ancient quest for justice, have inspired composers from the 12th century to the 21st. Here, the Choir of Trinity Wall Street performs settings by composers from medieval plainchant to Bruckner to a premiere by Pulitzer Prize winner David Lang. Experience Concert 3: Justice live from St. Paul’s Chapel below.